Simplot Classic Triple Berry Blend - Mixed Fruit, 5 Pound -- 4 per case. 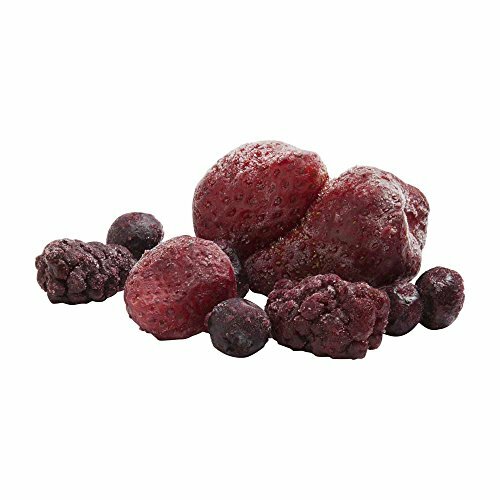 Product benefits Fruits are harvested at the peak of freshness and individually quick frozen to lock in natural flavor, appearance and nutrients. Rich in phytonutrients, vitamin c, and dietary fiber. Iqf pack for easy convenient portioning and quick preparation. 100% useable, no trim loss or waste. Consistent and reliable year-round quality. Fits vegetarian and vegan menu application. Specifications Strawberries 34.0% Blueberries 33.0% Blackberries 33.0% Ingredients Strawberries, blueberries, blackberries.